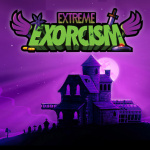 Extreme Exorcism may be a title familiar to keen Wii U eShop fans courtesy of its inclusion in the E3 [email protected] demo promotion; publisher Ripstone has now confirmed that it won't be long until the full game is available. It's due to arrive on 23rd September on Wii U and a host of other platforms, priced at $12.99 / €12.99; we've asked for a UK price and whether the [email protected] discount of 15% will be applicable to those that downloaded the demo. 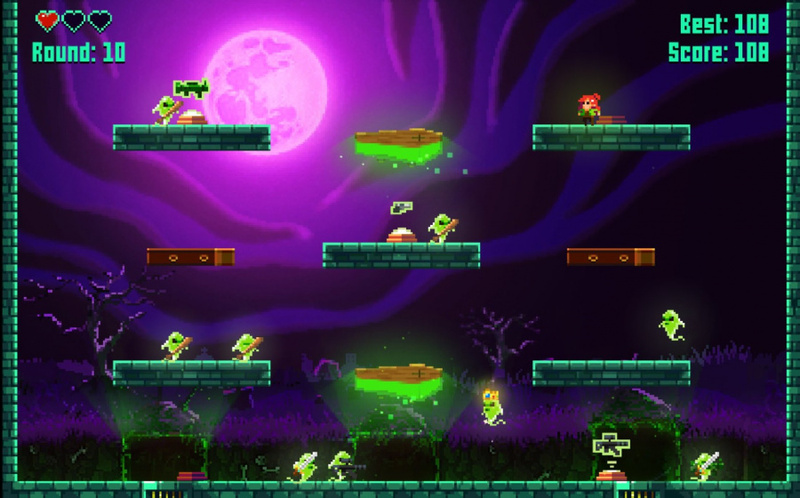 This is a title that revolves around fast-paced action, though the twist is that when you clear out a crowned ghost in a level, the next stage will feature a ghost mimicking your previous moves - right down to weapons fired, thrown or sword attacks. As a result each set of stages necessitates good memory, planning and skill to progress. There'll apparently be over 20 weapons, 50 challenges, a story-based mode and local multiplayer options for up to four players. Developed by New York-based studios Golden Ruby Games, this certainly looks promising; we rather enjoyed it in our [email protected] Impressions following E3. Are you tempted to give this a try? The preview was really fun, and I could certainly play it again and again every now and then. But I cannot really imagine it as a full, extensive game so far, though that's what one should expect for the rather high price. So, well..., I look forward to what it turns out to be in the end. I could barely put the demo down. I'll definitely be picking this up. So much fun. I never enjoyed from what I experienced from the preview, mainly because it felt extremely repetitive the instant I turned it on. I instantly quit the game the first minute afterwards. I'll be passing up on this game. Wait there's a demo ? I will be picking this up as I enjoyed the demo very much. @Gameday It was available to download along with a few others for a few weeks during E3 time. I was on board until I found out your ghost comes after you. I hated those parts in Super Mario Galaxy! I'll be picking this up. I thought it was a fresh take on a platform shooter. @DiscoGentleman "Growing party console"? The Wii U? Thanks for the laugh!